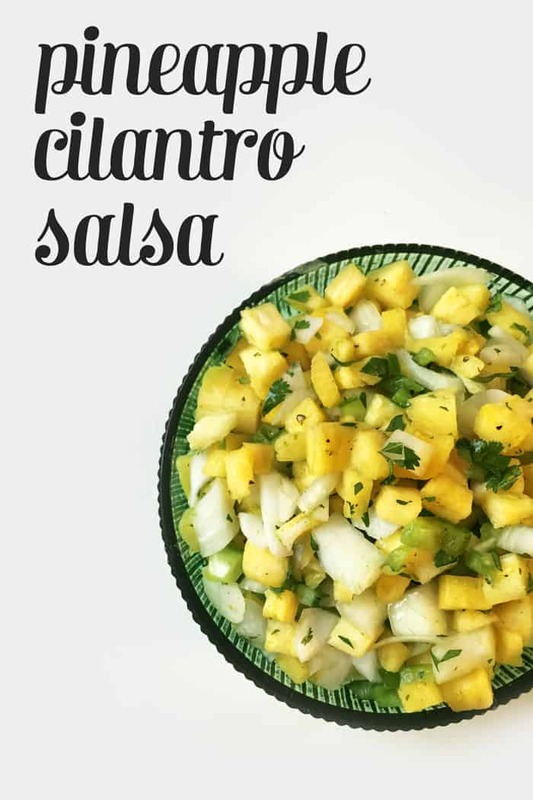 This Pineapple Cilantro Salsa recipe is sponsored by Food Should Taste Good. 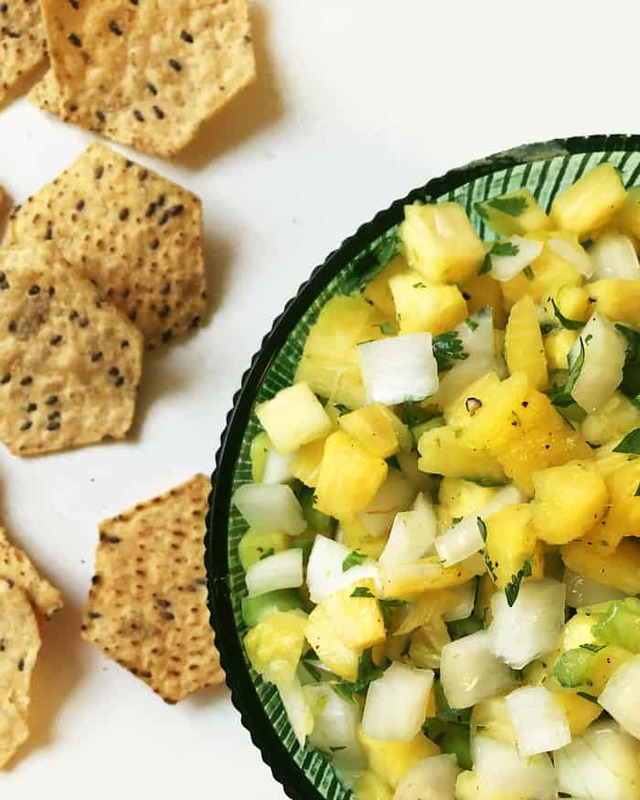 Pineapple Cilantro Salsa is a colorful, chunky dip that’s packed with flavor. Cinco de Mayo is around the corner! I’m visiting Phoenix right now, and I am eating my fair share of Mexican food on this trip. But I love that there is an entire day dedicated to eating and drinking this fare! Give me all the margaritas, salsa and tacos, please. 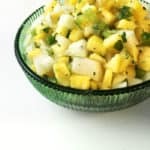 Today I’m partnering with the folks at Food Should Taste Good to bring you a recipe for Pineapple Cilantro Salsa. 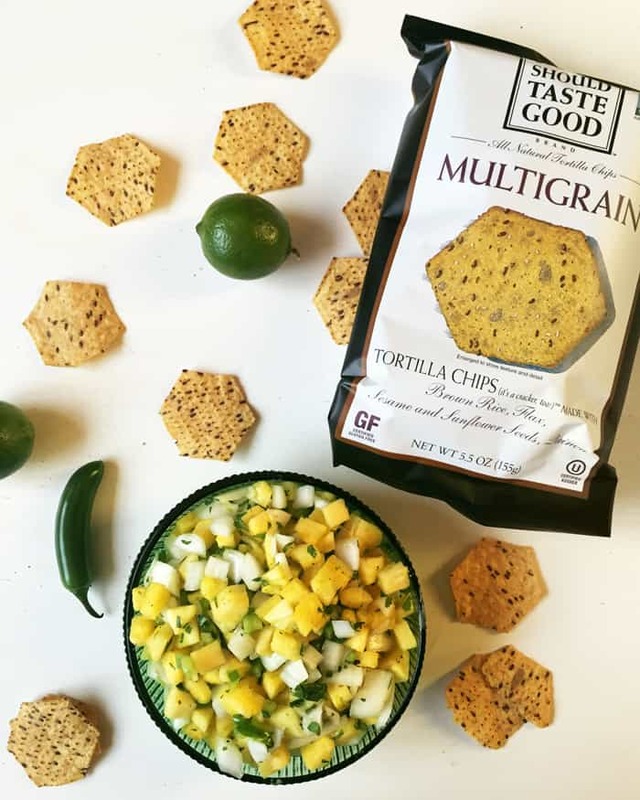 They make the crunchiest, loveliest tortilla chips from real ingredients, and the chips are certified gluten-free and Kosher. Seriously so good. This salsa combines chunks of fresh pineapple, lime juice, onion, green peppers (mild or spicy — your choice! ), flavorful cilantro and salt and pepper. I really love the bright yellow and green hues of this dip! 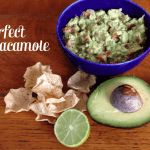 It’s great as a dip, of course, but it would also be stellar spooned into tacos! 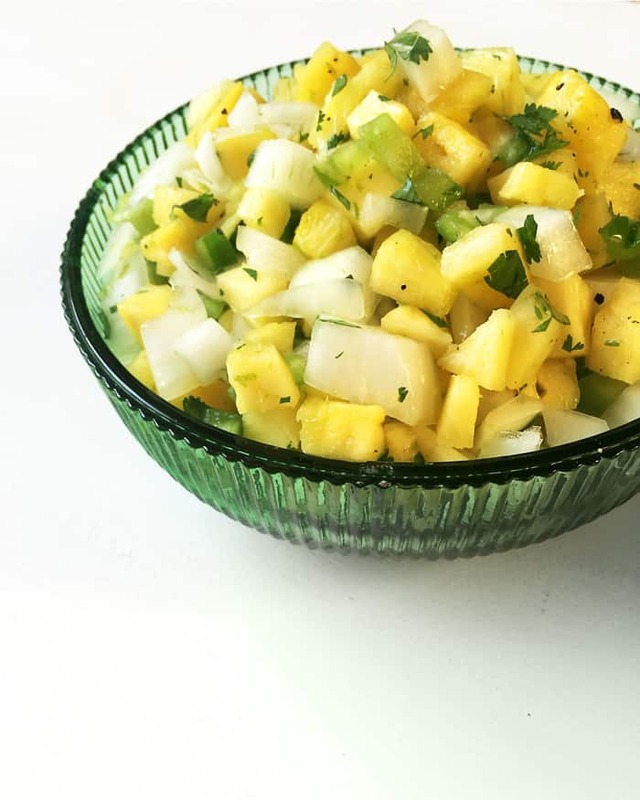 If you make it the way I do, this Pineapple Cilantro Salsa is definitely on the chunky side. But if that’s not your bowl of salsa, then you can totally run it through the blender for a creamier blend. This post is sponsored by Food Should Taste Good. As always, all opinions are my own. I am so grateful for opportunities like this that allow me to continue sharing my adventures in food and travel with you. Thank you for supporting me and the brands I love. 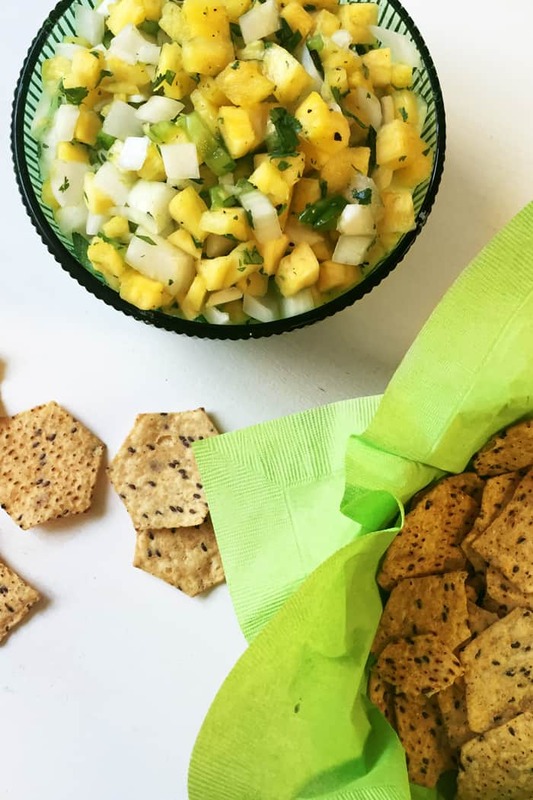 Pineapple Cilantro Salsa is colorful, chunky dip that’s packed with flavor. Place all ingredients into a large bowl. Stir together until evenly distributed. If desired, blend on medium speed in a blender until smooth with a few larger chunks remaining, or until desired consistency is achieved. Serve immediately with tortilla chips. Store in an airtight container in the refrigerator up to 4 days. We love those chips! 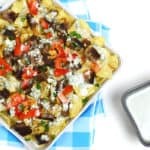 They’re my go-to when we buy tortilla chips (love how wholesome they are without sacrificing on flavor) and I know they will be perfect with this salsa! I love that it’s so chunky so you can really see all the big pineapple and tomato pieces. Perfect for Cinco de Mayo or anytime snacking 🙂 I bet it’s also amazing over some grilled chicken or pork! Pinned! other than the raw onion, which is extremely unkind to me, i’d love this! sweet and flavorful and perfect for so many applications, but especially for chip-dipping! This salsa looks so fresh and pretty! 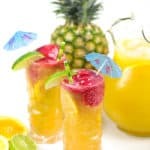 The pineapple makes it perfect for summer cookouts. How long does this salsa usually last? I have it in a Tupperware bowl, and I make it all the time, and usually throw it away after a week. It still smells and looks good but I’m not certain…. any idea on how long I can keep it? Hey Carter! 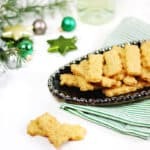 So glad you love this recipe and make it often. I would recommend storing it for up to five to seven days in the fridge, as pineapple does not last long once cut. You can also freeze the salsa for up to 6 months if you put it in airtight, freezer-safe bags or containers with any of the juices, and then just let it thaw before enjoying. Hope this helps, and thank you for reading!